I’m always seeking for that glow up. Never really being able to secure it but I do like to start with the skin, I like to keep the skin, hydrated, plump and pigmentation free! 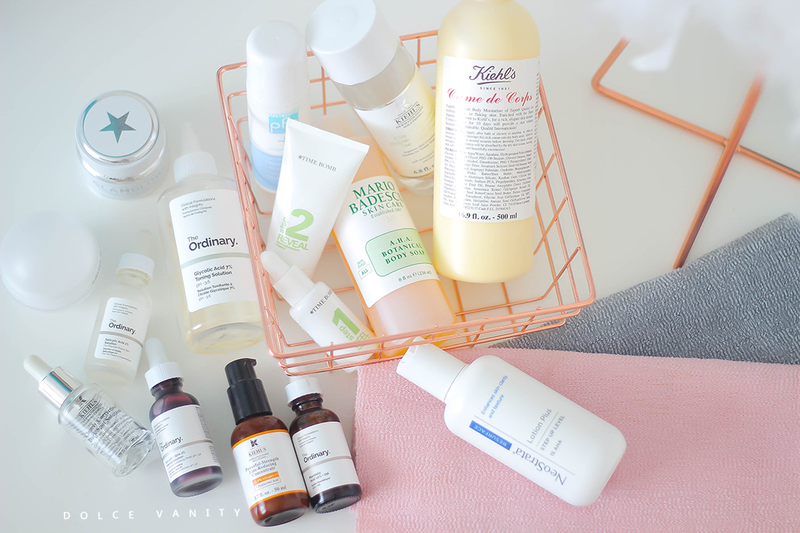 If you regularly read my blog, you’ll know, I love me some acids, glycolic, salicylic, mandelic, lactic…anything that is going to help keep my skin looking A*, it’s good for me. I don’t just use acids on the face, my body as well. I begin in the bathroom using the Mario Badescu A.H.A. Botanical Body Soap and go over my skin with my Korean Italy towel. KIT’s are amazing to remove the dead skin cells – literally. A.H.A Botanic Body Soap (Alpha hydroxy acid) – this wash contains fruit extracts specifically, Grapefruit, rich in antioxidants and vitamins, anti-aging and helps even the skin tone and fight of free radicals, Ginseng that has anti-ageing properties that helps tone and brighten skin, Tila Cordata, another anti-ageing ingredient, provides antioxidant protection, slows down ageing and locks in moisture making the skin soft and supple. After using this I feel super clean, soft, nothing feels dehydrated or dry which is good. Gives a nice lather. After using that, I follow up with two body creams. From last year I have been using the NeoStrata Lotion Plus, it helps brighten and illuminate the skin and can be used on the face and body. It’s good for any skin roughness associated with sun damage, hyperkeratosis and keratosis pilaris. This has 15% glycolic acid, although I have none of those issues, pigmentation is one and glycolic acid helps to turn those dead skin cells over quicker naturally to allow an even and brightens skin tone while helping smooth the skin texture. As a brand I highly recommend NeoStrata their products work!! For me it doesn’t give me the level of moisturisation, I desire so I follow up with the Khiel’s Crème de corps. One thing I’m looking to stop is using razors and begin a regular wax routine, I suppose for me what annoys me when it comes to waxing is waiting for that hair growth process but I’d rather get the hairs from the roots popped out than shave but also the friction regularly from shaving doesn’t benefit my bikini line, I have all the tools with the acids for that but I decided to try something new to help stop ingrown hairs and brighten the area PBF Vanish + Chromobright. It’s a roll-on that you have to let sink into the skin, don’t wipe or wash off. I exfoliate regularly and I still get ingrown hairs but daily for work, I have to wear black skinny jeans, they rub! The bikini line stands no chance. Majority of my skincare comes from The Ordinary and Kiehl’s. The Ordinary's holy grails are: Glycolic acid 7% toning solution, salicylic acid 2% solution, mandelic acid 10% + HA & AHA 30% + BHA 2% peeling solution. My standout products from Kihel’s are their midnight recovery concentrate, daily reviving concentrate, powerful-strength line-reducing concentrate & clearly corrective brightening & soothing treatment water (read more about my kiehl's experience). Throwback Thursday Overnight Peel and Reveal – Time Bomb. This a brand that has grown on me hugely. Products I have tried from them, have worked for me repeatedly and one that I’ve been trying is the Overnight Peel and Reveal a two-step system and it only needs to be used once a week, it’s low maintenance but it’s something that works as you sleep and, in the morning, I just use the next step. _Step 1: Peel AHA Serum (chemical exfoliation), to be applied at bedtime it’s a highly effective blend of glycolic, lactic, citric and malic acids that helps dissolve the bonds that hold the top layer of dry, dead, dull skin cells on the surface of our skin. Those same skin cells that make our complexion look uneven and lacklustre. _Step 2: Revel Dermabrasion Cream (mechanical exfoliation) in the morning, buff away the layer that has been loosed with this microdermabrasion polish, it has dermatological grade alumina oxide fine-edged micro crystals. It lifts and mechanically exfoliates clinging surface debris and dead cells that were loosened overnight by the AHA serum. Glory Day Cream . Most times it’s cool to have a moisturiser that’s going to do it all for you, the Time Bomb Glory Day Cream is a 4-in-one multi-tasker. It moisturises, primes, evens skin tone and brightens. Honestly as soon as I put it on there is a brightness to the skin and it doesn’t leave it greasy so I can continue my makeup routine, it doesn’t streak once I put my foundation on just allows a smooth base. Within this cream there is high levels of Borage Oil which has anti-aging properties and a blend of glucose and white flower oils. It also has Hyaluronic acid complex that tightens and plumps the skins surface. Having an even skin tone is important for me and with the micro-reflective particles it diffuses the look of lines and brightens – winner. I don't use these all at once or everything daily. I rotate things according to my skins needs. _Throwback Thursday Overnight Peel and Reveal: That Thursday treat getting my skin ready for that weekend glow! _GLAMGLOW Supermud Mask: When I feel the skin needs that deep pore cleanse! When using acids, I make sure that my skin is kept very moisturised but not only that SPF!!! There's no point going through all of that work and there is no SPF in the items I use whether it's creams or my foundation as the sun will just reverse all the damage being done. 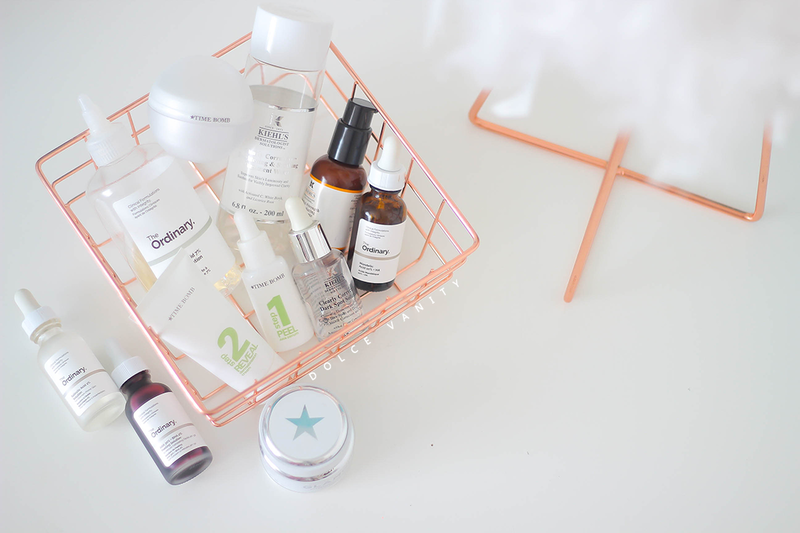 I really love The Ordinary's products but I haven't tried any of these other brands. The Ordinary are amazing! Their products are super effective. I really need to sort my skincare routine out. And by “sortit”, I mean start it! Really useful read for a skin care novice such as myself. I am very impressed with your skincare routine! 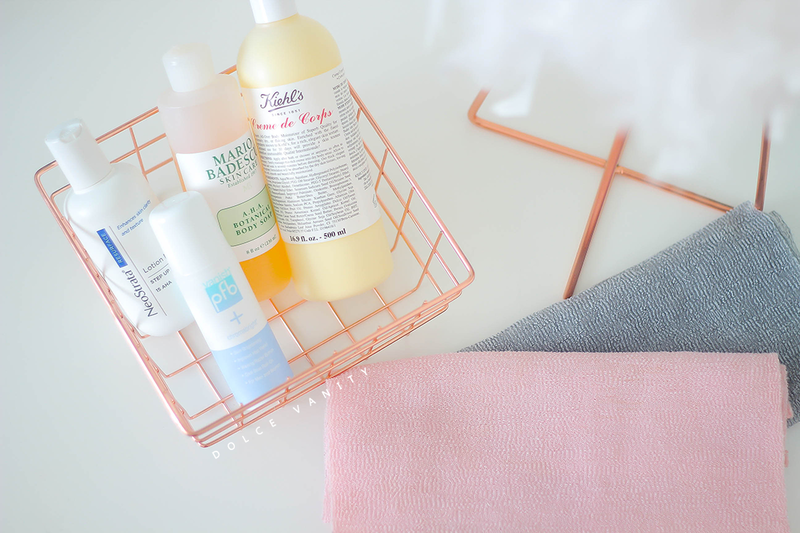 I'm such a skincare novice, but I'd really love to try some of these products out. My skin is very much lacking that 'glow' at the moment!